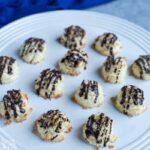 As I have been too busy the last few weeks to develop many recipes, I thought it would be nice to share a new recipe from one of my low carb blogger friends. Please join me in welcoming Elviira of Low Carb So Simple! 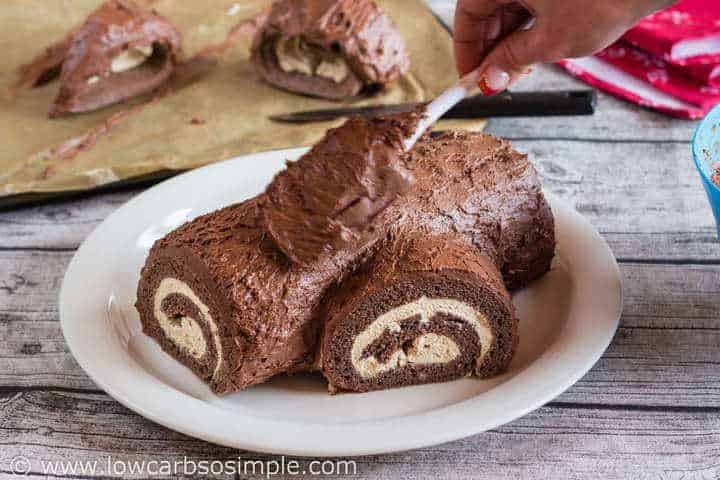 Let’s see how she created a gorgeous low carb Buche de Noel Yule Loge Cake for the holiday without cracking the cake roll. 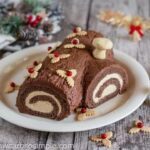 French and French-Canadian people can hardly enjoy their Christmas without Buche de Noel, which is also called Yule Log in English. This traditional dessert is not only decorative, but it’s also very delicious. 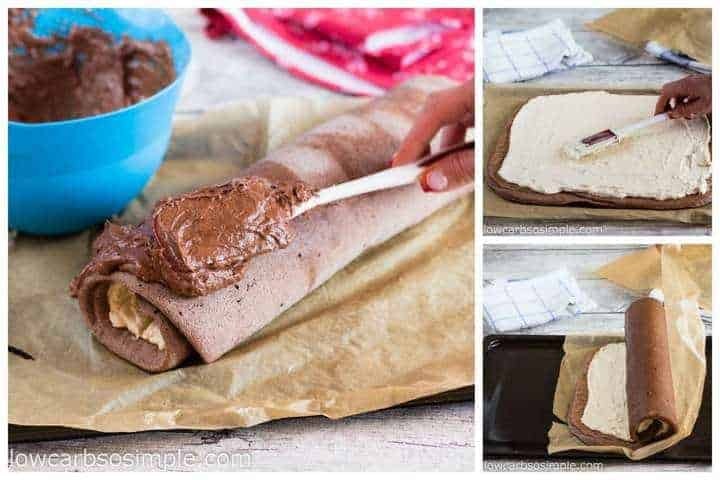 Buche de Noel is like a frosted cake roll. The original recipe was developed during the 19th century. As with all traditional recipes, there are many variations of this special delicacy, the most common one is with yellow sponge cake and chocolate buttercream. During my 10+ years of low-carbing, I really haven’t seen any recipes for a low-carb version of Buche de Noel. 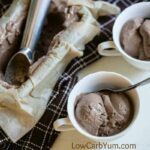 It has always intrigued me how easy – or difficult – it would be to develop a low-carb version of Buche de Noel. 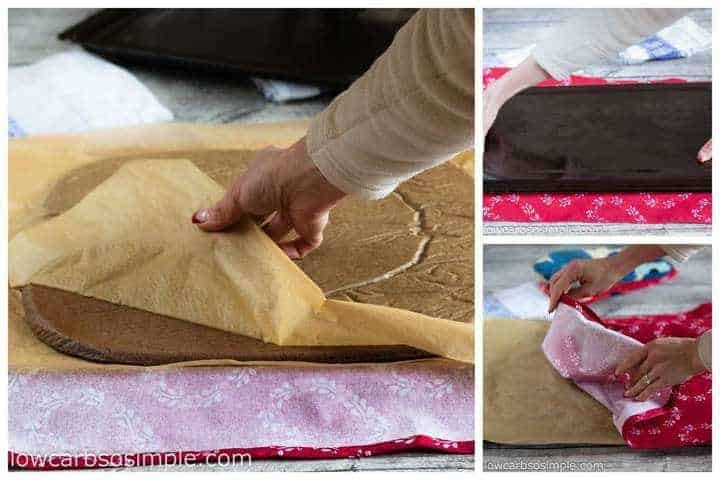 The cake roll part is the most challenging part: getting soft, yet firm enough cake that you can roll without cracking it. After some trial and error, I ended up with a surprisingly simple recipe for chocolate cake. Psyllium guarantees the flexibility of the cake, so that it doesn’t crack and break when you roll it. Separated eggs give volume and add softness to the cake. Coconut flour ensures you get the firm, cakelike texture. For the filling, I’ve chosen a palatable mixture of instant (caffeine-free) coffee, whipped cream and mascarpone. The filling is like a mousse, and mascarpone gives it even more creaminess and stiffness. 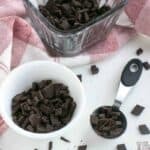 The filling is very simple but tasty, and with its mild coffee flavor, it complements the chocolate very well. Instead of coffee granules, you can use 1/2 cup (120 ml) any sugar-free jam of your choice if you can stand the carbs. I made a version with sugar-free apricot jam, but since the jam is quite high in carbs, even though it’s sugar-free, I ended up using coffee granules, which are practically carb-free. You can naturally use fresh berries, like fresh raspberries or strawberries, if you can find some at this time of the year. Also, cranberries are low in carbs and perfect for the holiday season. If you can’t find mascarpone, you can replace it with full-fat cream cheese or just double the amount of whipped cream. 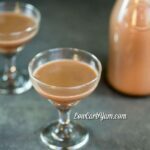 In any case, I really recommend mascarpone: it’s unbelievably rich and creamy, neutral tasting and makes a perfect mousse-like filling with whipped cream. 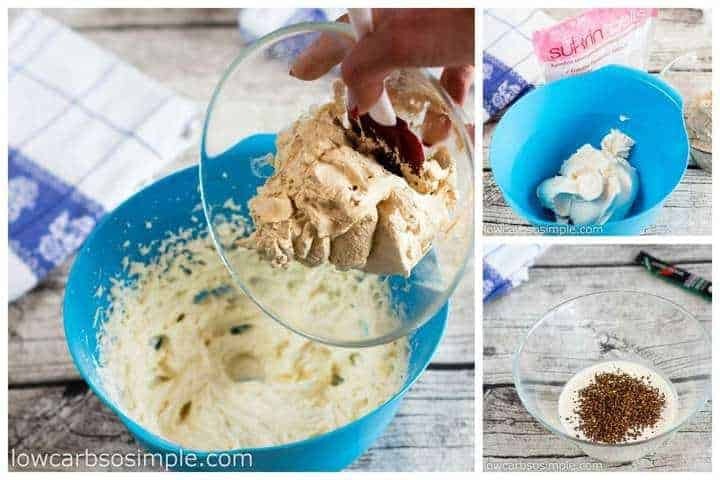 Moreover, the frosting uses cream cheese, so using cream cheese in the filling might be too repetitive, unless you are a real fan of cream cheese that is! Because the dessert is quite heavy with all that cream and chocolate, I wanted to add some fruitiness to the frosting. 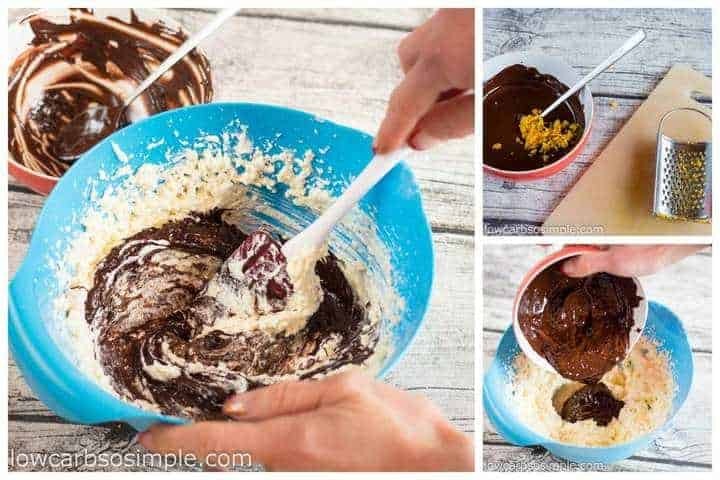 In the end, the frosting is a delicious combination of chocolate and orange. Orange gives fresh taste and goes perfectly with the creamy coffee-flavored filling. In my opinion, the taste resembles Café con Chocolate y Naranja. Orange itself is quite high in carbs, which is why I have used orange essential oil and freshly grated orange peel. Both give extremely elegant and complex orange flavors, practically without carbs. This recipe is far more complex than I usually tend to create. Even though I prefer simple, healthy food that is quick to make, it’s sometimes nice to challenge myself with a complicated classic masterpiece and how it can be made low-carb. 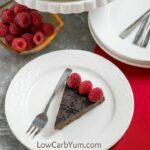 Since I post only very simple low-carb recipes to my blog, I thought this wonderful dessert would be a perfect guest post for my friend, Lisa. I admire her fantastic blog and the tasty recipes she makes. 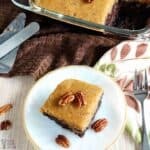 Elviira is a former music scientist and computational linguist who is nowadays developing simple and healthy recipes with organic and natural ingredients and writing about ketogenic diet. She has been studying nutrition, different diets and cooking for a few decades. On her journey from a strict raw vegan to a conscious omnivore, she has collected an extensive collection of hundreds of diet books and cookbooks, still relentlessly digging into new studies and old traditions. 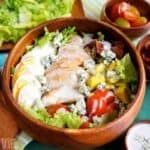 Healing herself with gluten-free, sugar-free low-carb food, she is nowadays completely healthy and full of energy, developing and sharing simple and healthful recipes with mouthwatering photos on her blog Low-Carb, So Simple and sharing information how to naturally relieve anxiety on her new Curb Anxiety blog. She hopes to help other people heal themselves and live healthy lives, full of energy and happiness. The Facebook page for the Low-Carb, So Simple blog has currently close to 440,000 followers and the blog thousands of daily visitors. I’m sure that you will agree Elviira’s recipes are amazing. She works really hard to ensure all the recipes are simple and easy to make. 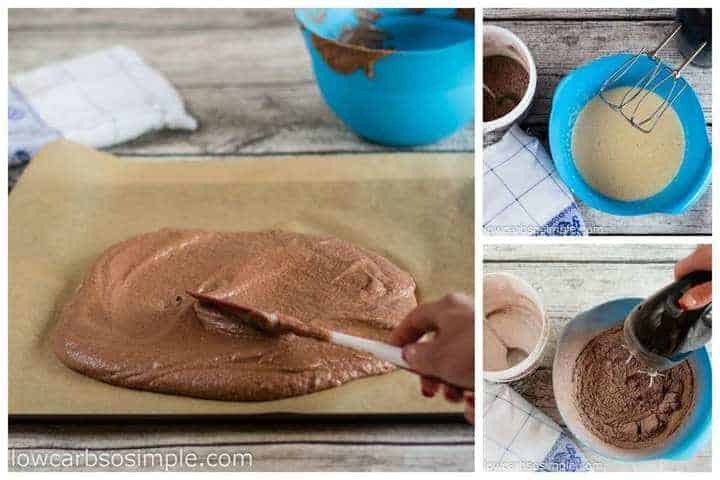 All of them have five ingredients or less! 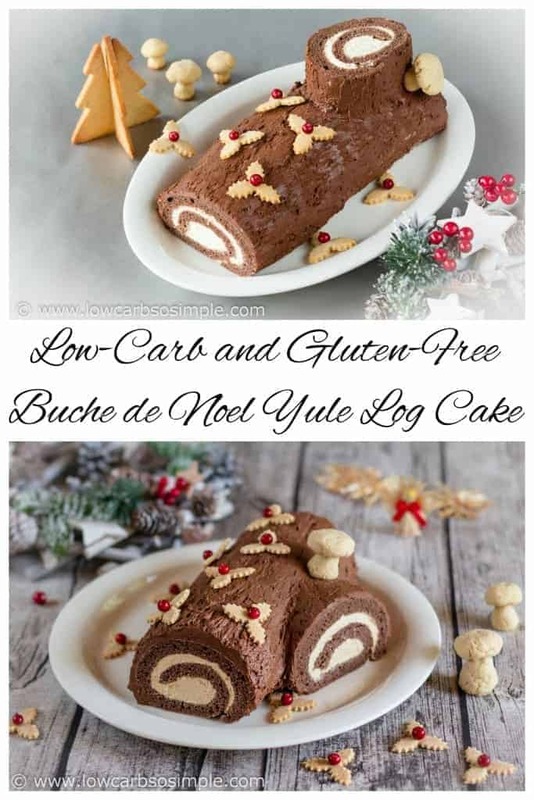 Elviira chose to share her Buche de Noel Yule Log Cake at Low Carb Yum since the recipe is too complicated to post on her own blog. 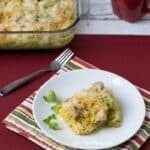 It looks so delicious, as does all of her Low Carb So Simple recipes! My cake for this recipe just wouldn’t set … ended up cooking for almost 30 minutes at 350’ and the middle is still really wet. Any thoughts? 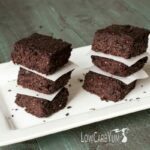 You’ll have to check with Elviira from lowcarbsosimple.com as it’s her recipe. However, I do know that coconut flour can vary so perhaps you just needed more? There’s definitely plenty of eggs in the recipe where it should have set. Hope it works out for you. Elviira did an amazing job with the recipe. Just what I needed for my Keto family members, however you don’t say what size jelly roll pan to use. Also how thick should each slice be? That way I can put it into a carb manager and get accurate carb count per slice. 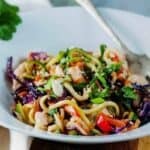 This is a recipe written by Elviira at lowcarbsosimple.com so it would be best to check with her. I’m assuming she used a standard jelly roll pan, but she’s in Europe so it may be a metric size one. I love it and I can’t wait to try this! This is so pretty, one of my favourite Christmas cakes! 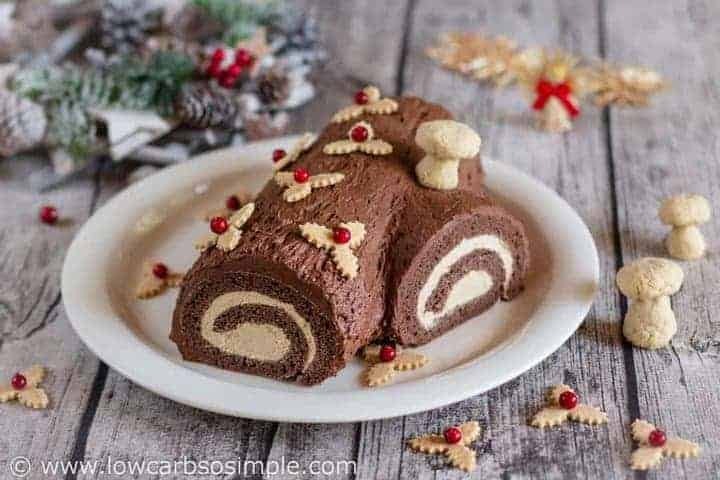 Hi I was just wondering what the total carb count is not net carbs for this buche de Noel Yule log cake? My mother-in-law makes a similar looking yulelog and she makes it ahead of time and freezes it. Then thaws it out for Christmas. It always tasted just as good as when she didn’t freeze it. Do you think this recipe would freeze well? I need to come up with more recipes I can make ahead of time for the holidays. I bet that would work with this log. I’ve had great success freezing low carb baked goods.